New Mk4 Volquartsen LB Pistols will be completed in 4-6 weeks time. The New Mk4 Volquartsen LB Pistols will come with Laminated Target Grips, standard Ruger Grips for holster use and two 10 round magazines. After a fantastic Phoenix Gun Show we currently have only 1x Lightweight and 1x V6 Pistol without a deposit to secure from our next and first delivery of the new Mk4 model. Due to the success of the Volquartsen Pistols and now a lot more Volquartsen Rifles and Accessories the range has increased so much I do need to rework the whole site. We are now importing all Volquartsen Section 1 Pistols and Rifles into the UK. Custom Rifles are being made to order in the Volquartsen factory. You can currently visit www.volquartsen.com and then contact us for a quote on the desired build. 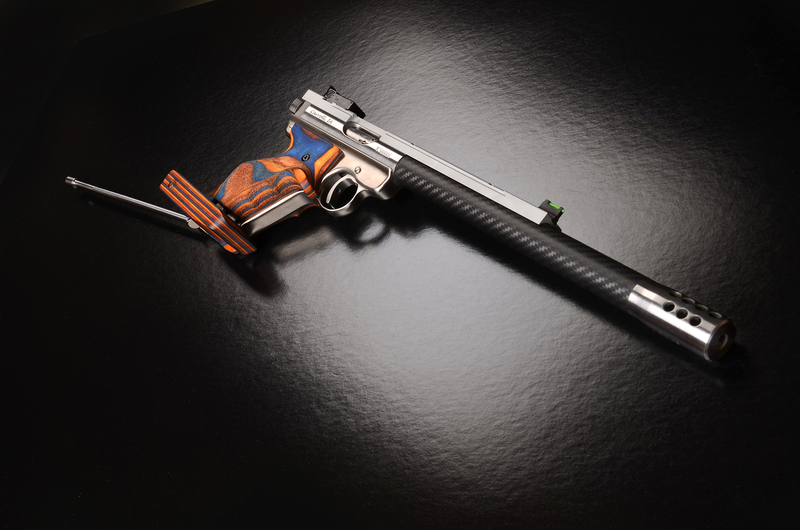 Welcome to the home of the Volquartsen LB Pistol. The most versatile target pistol in the UK today, being used for Precision Target Shooting and from the holster in Gallery Pistol, Speed Steels and Practical events.